In a week of terrible news, why not this? 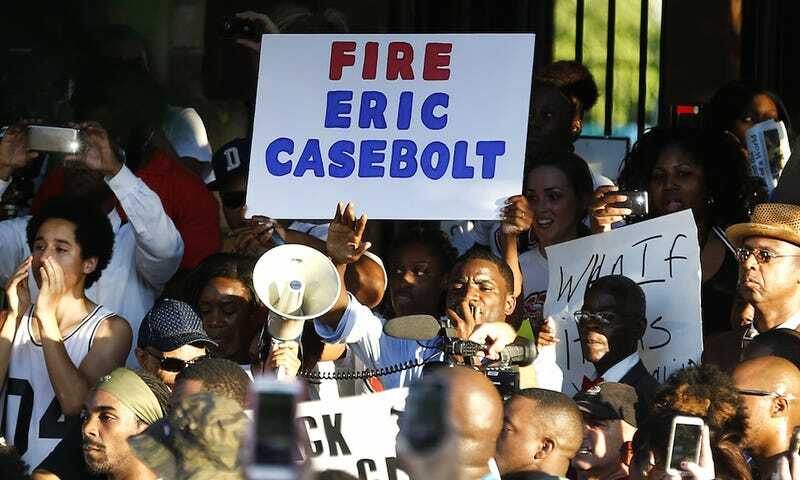 A little over a year after McKinney, Texas police officer Eric Casebolt brandished his gun at a group of unarmed black teenagers at a pool party and threw a 15-year-old bikini-clad girl onto the concrete ground, a Texas grand jury has declined to charge him. Casebolt was suspended, and later resigned (keeping his pension and benefits), after a video surfaced showing him accosting a group of black teenagers who were having a pool party at a community pool in a Dallas suburb. According to a police statement, police were responding to a “disturbance” call concerning a group of kids who “do not live in the area or have permission to be there”; one of the teens who threw the party said that adult white pool attendees called her racial epithets and slapped her in the face. In the video, Officer Casebolt can be seen waving his gun and screaming at a group of unarmed, apparently entirely nonviolent kids, and later wrestling 15-year-old Dajerria Becton to the ground and putting her in handcuffs. Casebolt had a disciplinary record with the police department, having been reprimanded on three separate past occasions. Casebolt’s attorney told the Dallas Morning News, “We’re glad the system worked in his favor in this case.” It certainly did.